Please participate in this book auction! All funds will be donated to 4 Paws for Ability, a non profit organization that trains service dogs for individuals with disabilities. 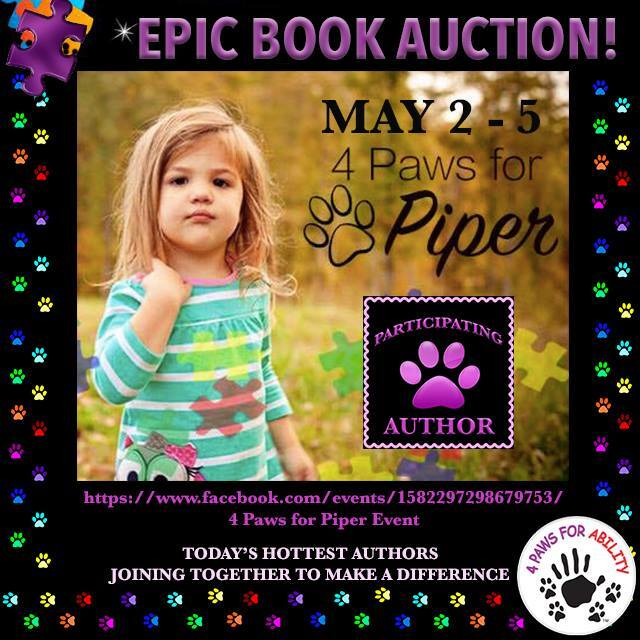 This organization will provide Piper, who battles Autism and Epilepsy, with a multipurpose service dog. Piper’s service dog will be trained in behaviors disruption, tethering, tracking, search & rescue and seizure alert work. Over 140 authors have already donated books. I am donating two paperback copies of Click Date Repeat and two advanced reader copies of Don’t Call Me Kit Kat. Visit the event page to sign up as an author, to RSVP or to make a monetary donation. You can also click here to become a member of the 4 Paws for Piper Community on Facebook.